The weather is heating up which means grilling, swimming and summer fun is almost here. Is your house prepared for warmer temperatures? Even when you don’t suspect your air conditioner of having any issues, call a professional to inspect your cooling system on a regular basis. If you do have cooling problems, get this fixed ahead of time before temperatures reach their peak. You will need to inspect and clean the areas in and around your pool to get it ready for summer. 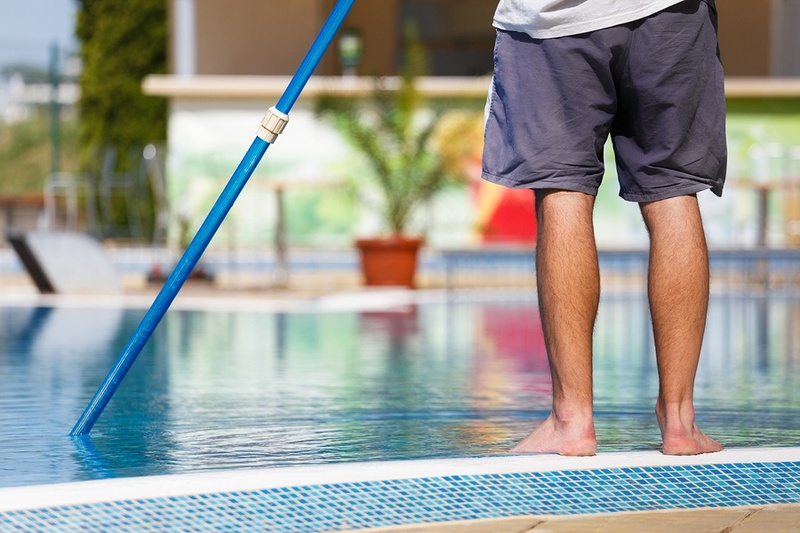 Remove any leaves or other debris floating around in the water and scrub the deck surrounding the pool. Additionally, check the pH level of the pool and balance these levels if necessary. Change out heavy blankets meant for colder months for lighter covers, like ones made of cotton, to beat the heat. Store your winter blankets in vacuum-sealed bags to save space. Whether you cleaned your grill before last summer ended or not, give the grates a good scrub. Use a wire grill brush to remove leftover food particles on the grate. Clean other grilling equipment like the grill’s metal plates or cooking utensils with water and soap. With the changing seasons, it’s a great opportunity to clean up clutter and organize your garage. After you take out patio furniture, pool toys or other seasonal items stored in your garage, install some shelves or put belongings in labeled boxes to know where everything is. Get rid of any dust and dirt your patio furniture may have picked up while in storage. To clean plastic or wicker furniture, mix water and dish soap and dip a clean cloth in the mixture to wipe away the dirt. Hose off the detergent. For part of your summer preparation routine, take off the screens from your windows. Check if there are rips or holes allowing pests to come into your home. Replace any broken screens before putting them back on your windows. Window shades are an effective way - even more than blinds - to block out excess light and heat and lower your energy costs during the summer. While shades and blinds sound very similar, there are key differences making window shades better at managing sun exposure and comfortable temperatures. Download a copy of our shades vs. blinds guide to get the information you need to make an informed choice for your household needs. With these tips, you're one step closer to enjoying your summer. To find out more on the energy saving advantages shades have over blinds, contact Polar Shades.